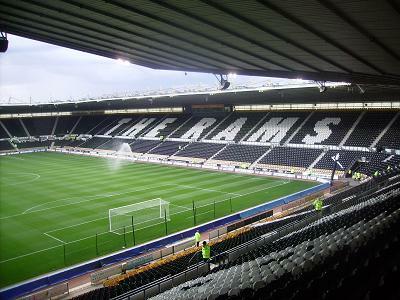 City drew Derby County in the Carling Cup and it gave me a chance to visit Pride Park for the first time. Pictures had made it seem like an old, unattractive stadium but I was quite surprised by what I found. I say found, I mean what I eventually stumbled on after trying to find a car parking space, not an easy task. Anyway, there's quite a bit to do around the stadium with several restaurants and a retail park within a few minutes walking distance. At the ground itself, they have a relatively small club shop for their level. The ground itself is fairly large and the away end offers a great view of not only the action, but the rest of the ground. 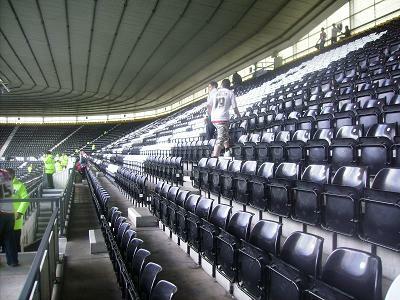 It's unlike most other new grounds due to the unusual stand to the left of away fans. I believe this makes the ground stand out in a division where a lot of the grounds are the same. 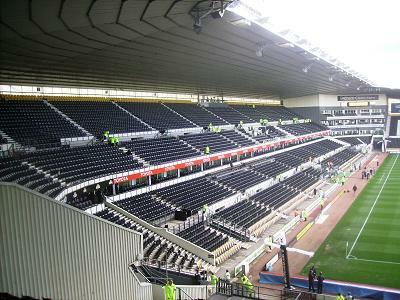 As for the atmosphere, it was quite decent considering that there were only about 8,900 home fans. The Derby fans were vocal and passionate about the club and the away end also allows for a decent amount of noise to be created. 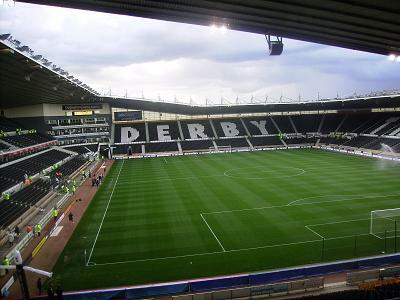 I definitely liked Pride Park and would certainly be keen on visiting this in the future, although the parking situation certainly needs to be sorted.